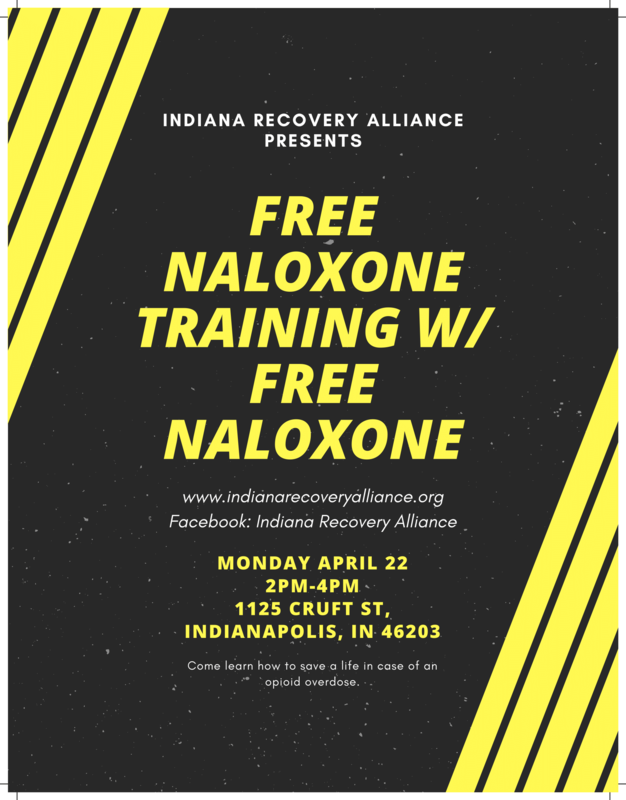 Marion County Opiate Overdose Reversal Training with FREE naloxone (the opioid overdose reversal drug), open to people who use drugs, their family and friends, the general public and any community organizations interested in saving lives. This training will certify you as a volunteer for the IRA, allowing you to distribute naloxone and to train others to distribute naloxone. You will learn how to identify and reverse opioid overdoses, the laws that protect you, the stigma people who use drugs face, and other facts about Harm Reduction that empower you to save lives. For those who do not want the full training, and only want naloxone, we will do a quick 20 minute training at the beginning of the session, after which you may leave with naloxone. Overdose fatalities are preventable. Please join us to learn how to save lives and kick up the love a notch. OUR MAIN GOAL IS TO GET NALOXONE INTO THE HANDS OF PEOPLE MOST AT RISK. PLEASE COME PREPARED TO TAKE LOTS OF NALOXONE KITS BACK TO FRIENDS AND FAMILY WHO ARE AT RISK OF OVERDOSE!